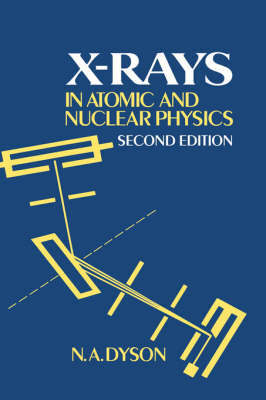 This book deals with the methods of X-ray production at a level which is accessible to advanced undergraduates and researchers who use X-rays. It also discusses the fundamentals of these physical properties from an experimental viewpoint which is not covered in more specialised texts. The book begins with a survey of work carried out before 1945. Continuous and characteristic spectra are discussed followed by a description of techniques used in their study. Further studies of production, absorption and scattering in atomic and nuclear processes are described, including a completely new chapter on X-ray production by protons, alpha-particles and ions. The concluding chapter surveys some more advanced fields of study. It will be very valuable to all research and industrial physicists working with X-rays who need to know about their fundamental properties in more detail. In this second edition SI units are used throughout and the material reflects the changes in the use of X-rays and the developments in the field.